When you're measuring photosynthetically active radiation (PAR), you require accuracy and reliability, often subjecting sensors to harsh conditions. The CS310 Quantum Sensor, built by Campbell Scientific partner Apogee Instruments, is a full-spectrum sensor that can function in demanding situations. This is a tremendous value for a sensor that provides uniform response across the PAR spectrum. You get research-grade photon flux measurements in full sunlight, under plant canopy, or even with artificial light sources—all at a much lower cost compared to competing sensors. The CS310’s dome-shaped, anodized aluminum body is sealed, rugged, and self-cleaning, assuring long life and lower maintenance. It has an IP68 marine-grade connector for easy swapping. It carries a four-year warranty, with the quality you trust Campbell Scientific to provide. 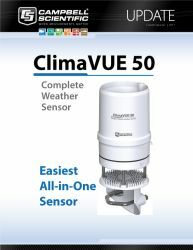 Whether your measurements are in or above plant canopies, in green houses or growth chambers, the CS310 is designed for continuous, consistent performance. 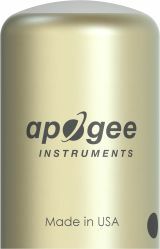 The experience and expertise at Apogee and Campbell Scientific give you a quantum sensor you can count on. See more details in this white paper: "Comparison of the CS310 and LI190R Quantum Sensors."